HUNDREDS of jobs will be lost in a "restructure" of Hail Creek mine in the Bowen Basin, Glencore has confirmed. But workers remain in the dark about exactly who will be sacked and when, one mining operator has claimed. The contractor employed at Hail Creek spoke out following the revelation by the global resources giant on Monday afternoon that about 430 jobs will be axed. "A lot of people are freaking out", he said. "We're all good mates and we don't want to be broken up". 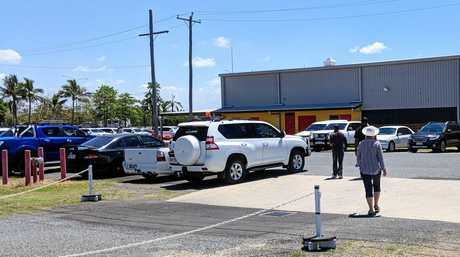 The contractor, aged in his 20s, attended one of several meetings held by Glencore at Mackay showgrounds on Monday. He asked to remain anonymous due to fear of employment repercussions. "A lot of people were thinking they were going to be sacked," he said. "It's just rough. Obviously, operators being the most people on the site, there's going to be a lot of us disappearing. "(The meeting) wasn't as aggravated as I thought it was going to be be though. I thought people would be blowing up and carrying on, but there wasn't much of that at all. "There was some serious questions asked, but everyone was pretty well behaved. "It's what everyone was thinking was going to happen." The contractor felt Glencore's decision to restructure from a two dragline operation to a truck and shovel operation was somewhat baffling. "We've only just got the site running as good as it was and they come along and say all these machines and things have got to be cut," he said. "And they're the main heart of the mine. I don't know how they think they'll run it." "(Glencore) want to make it a no smoking site, and no mobile phones. And I may go underground again because $45 an hour is not enough if you can't talk to your missus or have a cigarette." The worker said there "was a lot of concern" around the job cuts and he felt for his fellow workers and mates. "But if they make it like a preschool I wouldn't be happy with the money," he said. Shortly after being refused entry to one meeting, the Daily Mercury was provided with a statement from Glencore, confirming the mine's workforce of about 1360 will be cut to 930. In March, Glencore purchased Hail Creek and the Valeria coal development project from Rio Tinto for $1.7 billion. 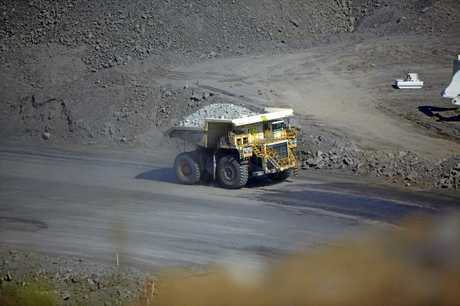 "Glencore has today provided employees at its Hail Creek open cut coal operations in Central Queensland with an outline of changes proposed for the mine," a spokesperson said. "It follows a review of operations that has been under way since Glencore took over operational management as new owners on August 1. The changes will affect around 30 per cent of the mine's current workforce." Glencore said a review identified "a number of areas where efficiency and productivity can be improved", including changes to the mining methods used. "Our proposed changes are designed to ensure the ongoing viability of operations and reduce costs to improve the overall business position," the spokesperson said. Glencore added the "reconfiguration" would be phased in over the next 18 months, with most changes due to be in place by the second quarter of 2019. "Glencore has asked employees for their feedback on the proposed changes ... ," the spokesperson said. "We acknowledge the significant impact this will have on our workforce and their families, and we will have in place support services to assist and advise them." Glencore describes Hail Creek, about 120km southwest of Mackay, as a large scale, long-life open cut operation. Member for Mackay Julieanne Gilbert described the announcement as "surprising" and called on Glencore to "have a heart". She was saddened to hear of the job losses and hoped Glencore provided workers, which she believes are largely based in Mackay and Nebo, with suitable severance packages. Ms Gilbert was hopeful workers in the firing line would eventually find jobs close to home, lest they be forced to shift elsewhere. Meanwhile, Resource Industry Network general manager Adrienne Rourke described the development at Hail Creek mine as unfortunate. 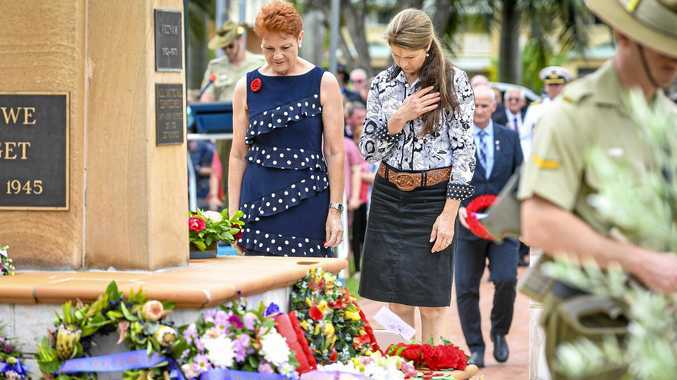 However, she said the network was optimistic workers would find new jobs quite quickly due to the resurgence of the resources industry in Queensland, including the Bowen Basin. Ms Rourke added mining supply and maintenance companies in Mackay were used to diversifying, and would probably dodge significant ramifications. Ian Macfarlane, chief executive of peak industry body the Queensland Resources Council also had a rather optimistic take on the developments. He said the council believed strong demand for skills in the Bowen Basin would create new opportunities and job options. "I understand this will be a difficult time for workers affected by the changes. But there is strong demand across Central and North Queensland for skilled workers in the resources sector," he said. 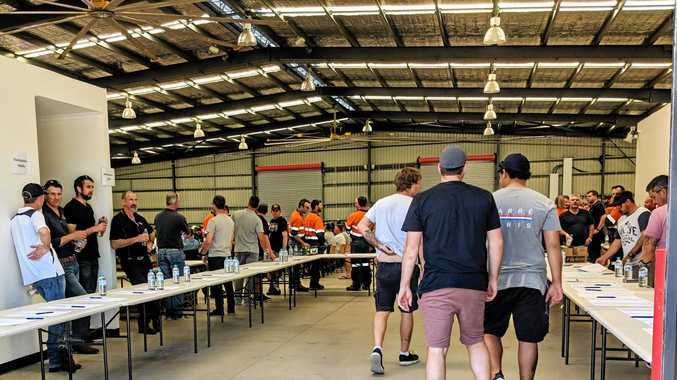 "Queensland-wide there are about 1250 vacancies in the resources sector, and more than 440 of those jobs are in the Mackay and Coalfields region. On top of that, there are more than 200 jobs up for grabs in the Rockhampton, Gladstone and wider Central Queensland region. "Global demand continues to grow for the high quality coal from the Bowen Basin. It is the building block for industry around the world. The Federal Government's Chief Economist predicts record export values this year and rising export volumes over the next financial year..
"Glencore's announcement today is focused on ensuring the ongoing viability of the Hail Creek mine. This will help sustain the project through the inevitable fluctuations in the commodity cycle." It's understood representatives from the Construction, Forestry, Maritime, Mining and Energy Union (CFMEU) met with Glencore on Monday. The union did not respond for comment by deadline.